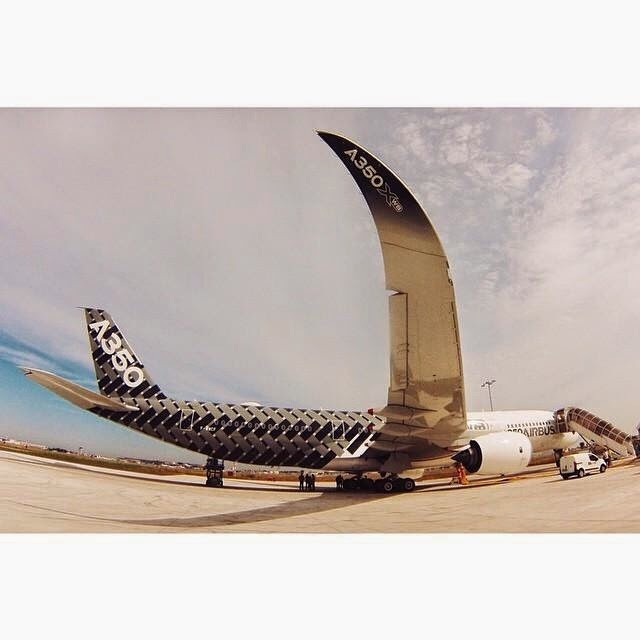 Biomimetics: the nature as a source of inspiration for A350 XWB design. In an interview to Denis Darracq, there are some examples on how the nature remains a source of inspiration to Airbus to reduce fuel consumption, develop new materials or design the wing surface. For instance, with regard to the external forms of the aircraft, the laws of aerodynamics "are acquired from the nature". In a macroscopic axis, the A350 XWB considers the actively deformation of the surfaces to provide the best aerodynamic performance and control of load for each flight conditions; takeoff, climb, cruise, approach, landing, maneuver, turbulence-encounters, etc. This is what birds, fish and marine mammals perform beautifully, called "morphing". The idea is to move from a 'rigid' world to flexibility and adaptation technologies. In another more microscopic axis, concerns the new surfaces and new materials that have, for example, self-cleaning properties, healing properties, very low adhesion properties (against icing of the wings) or low aerodynamic friction. Evolved birds have developed a mechanism of local active control of the air-flow over the wing. This same principle is applied to the wing of the A350 through the extension of spoilers on the wing which ensures the bearing pressure checking the meeting of wind gusts. Deployment and retraction of hypersustentations (flaps, slats) in low-speed systems allow to control simultaneously the braking (aerodynamic drag) and elevation (lift). The almost vertical (or winglets) fins wing end improve the effectiveness of the flight for a given scale are directly inspired by the shape of the wings of the Steppes-Eagle. 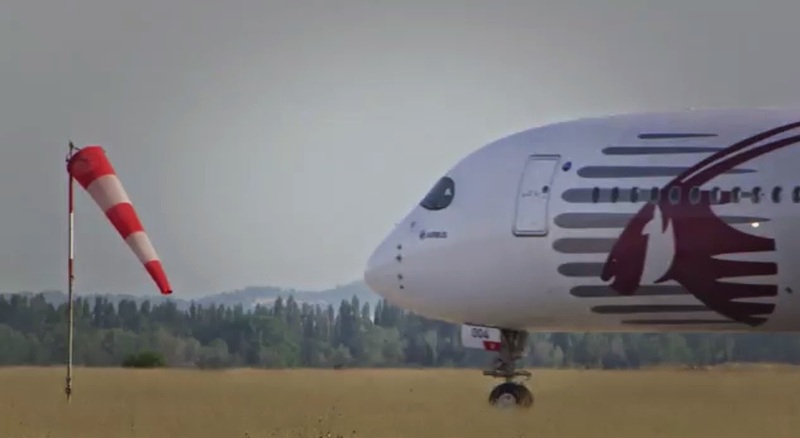 Airbus has developed, tested and validated new morphing technologies inspired by birds. "In the field of new materials, marine animal-world can teach us a lot. The skin of sharks is not smooth but rather composed of microscopic structures in the form of grooves. Detailed studies have shown that these structures reduce the friction of flow on the shark thus improving its efficiency and speed. 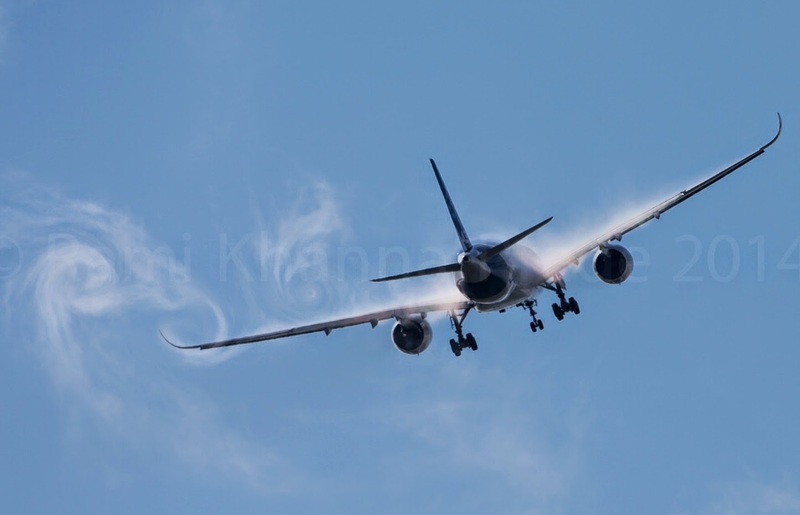 Flight tests have confirmed that such surfaces reduce effectively aerodynamic friction, so the consumption and the CO2 emissions from aircraft. About 70% of the surface of the aircraft could be covered. The reduction in drag and thus fuel consumption would be significant, with a single-digit percentage gain, what remains a performance for highly optimized products from an aerodynamic perspective as our aircraft." However, it remains challenging to solve issues like manufacturing and maintenance (resistance to erosion) of fuselage panels. Several technical options are under analysis: adhesive surfaces, special paints or a particular surface-treatments. Based on the article "La nature reste-t-elle toujours une source d’inspiration pour les avionneurs?" published in Usine Nouvelle. 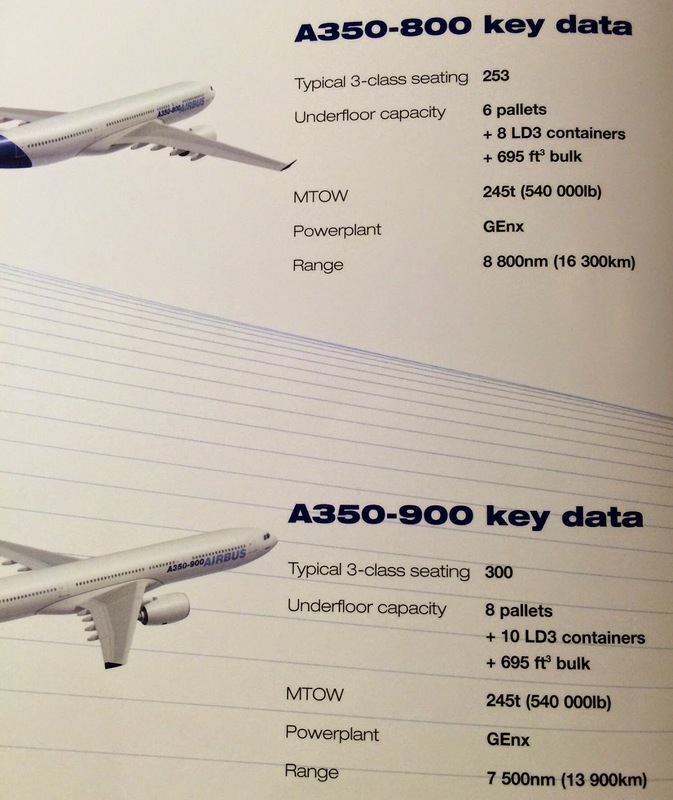 Finnair wants the A350 for cargo & passenger transfer between Europe and Asia. “We get 4 aircraft next year, 4 in 2016 and 3 in 2017” said Pekka Vauramo Finnair CEO. The aircraft will initially be deployed on existing routes to Shanghai, Bangkok and Beijing. “This is very important in our strategy. We have a strategy to double our Asian revenues (from 2010 levels) by 2020. We are tracking that very well, but we need this aircraft to fulfill our targets. For us it is one of the main drivers to improve our profitability in the next 3 years” he said. This stems from lower operating costs for the type, compared with the Airbus A340s it will replace. 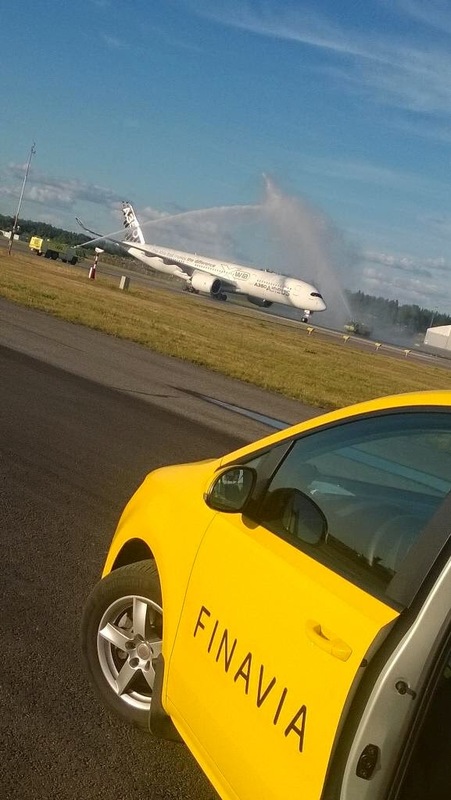 “The A350 gives us more passenger capacity and more belly cargo capacity”, added Vauramo. “Between 15-20% of our revenue comes from belly cargo. This will give us 50% more cargo capacity”. The airline has positioned itself as a transfer hub between Europe and Asia, and while it has not added long-haul capacity this year because it had aircraft out of the fleet for cabin upgrades, it is planning further expansion in Asia. “To grow Asian revenues we need to add one more long-haul destination every year, then we need to build more feeder traffic. We seem to have outgrown the market (in Finland), so we will need more passengers from Europe and Asia”, he said. Based on the article “Costs key to Finnish lines” published in Airline Business. In-cockpit Wi-Fi connectivity on A350. After gaining 370-minute ETOPS certification for the A350-900, Airbus continues preparations for entry into service with additional approvals like in-cockpit Wi-Fi. 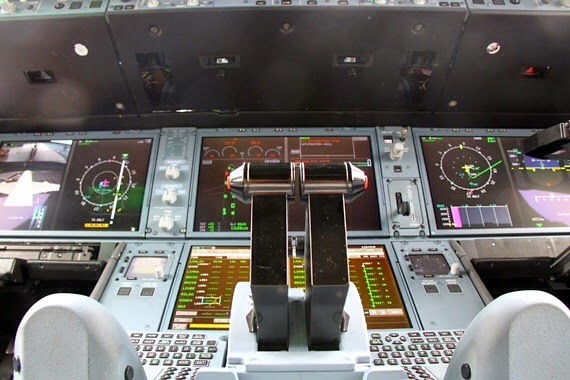 In the cockpit, A350 pilots will have access to Wi-Fi connectivity, allowing them to retrieve weather information from the Internet in real time on a tablet, for instance. 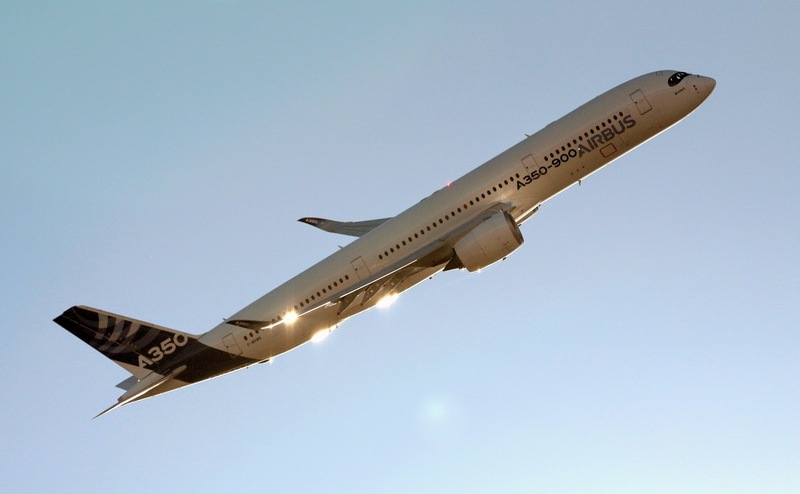 Airbus demonstrated compliance of the A350 with the RTCA DO-307 standard for tolerance to electromagnetic interference. Another claimed benefit includes the combined use and intercommunication of a pilot-attached device (e.g. a tablet) with the aircraft-attached electronic flight bag. 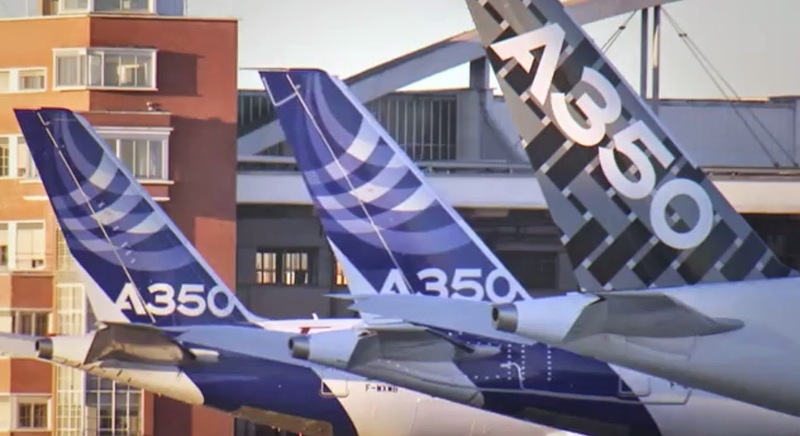 The airline would still carry responsibility for implementing the actual technical solution and obtaining a local approval, Airbus said. 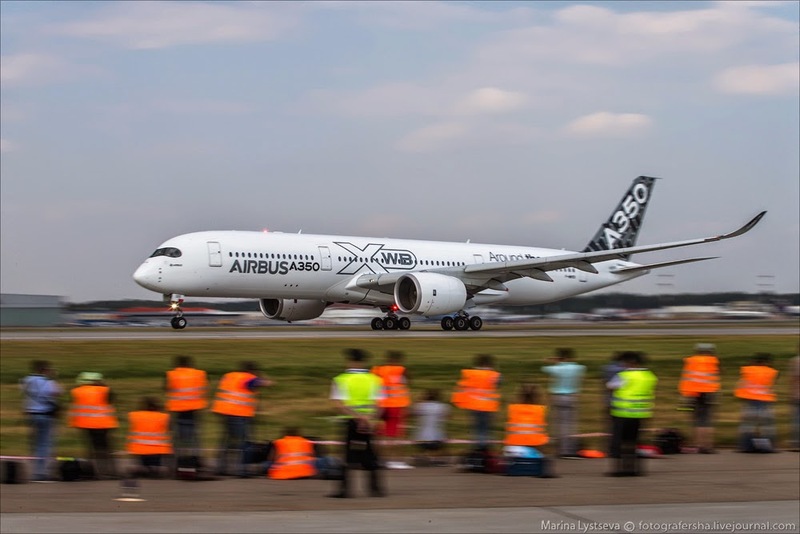 Based on the article “Airbus Gears Up for A350-900 Service entry” published in AinOnline. One of the Airbus suppliers, Honeywell vice-president of aerospace regulatory affairs Chris Benich, also briefed the forum and described how a deployable recorder would work. 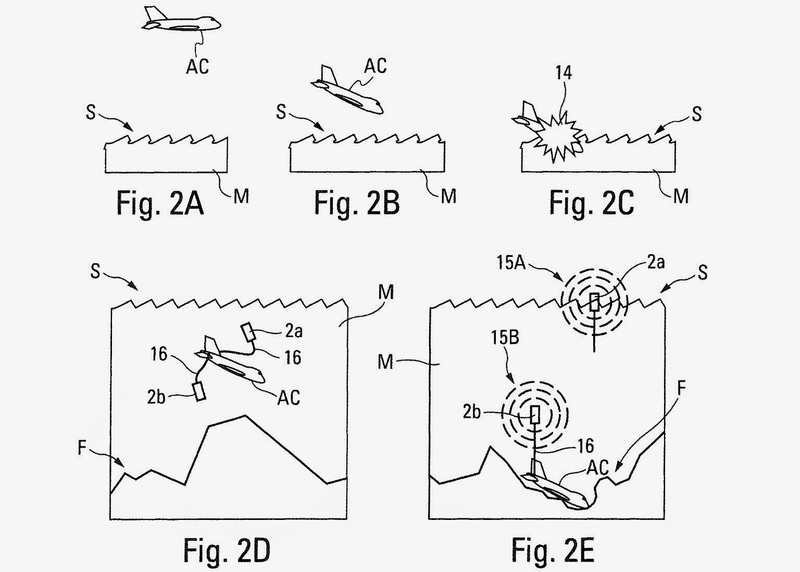 The system first senses the start of a crash and releases the deployable recorder from the aircraft. 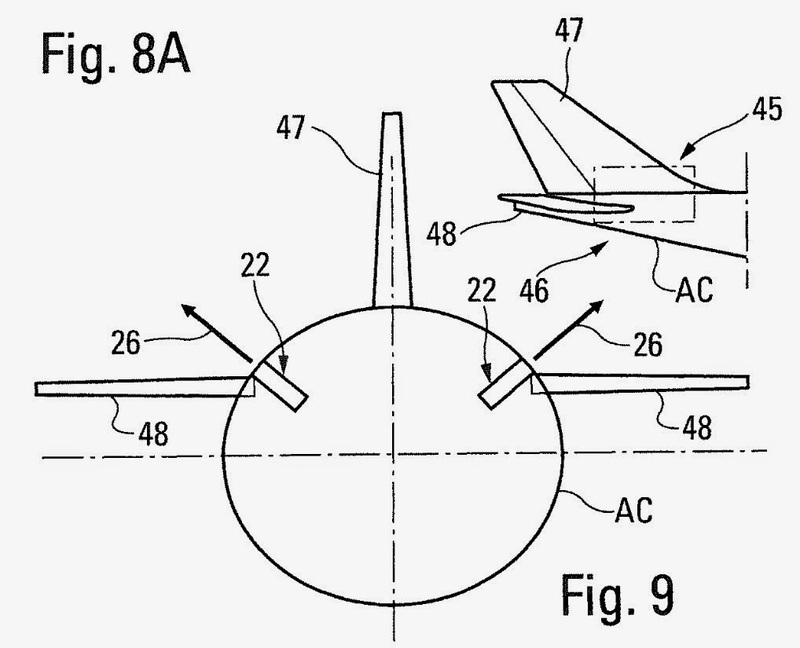 In a previous patent filling, Airbus described the installation as a lower panel in the aft fuselage near the tail cone. If the system lands on water, it is designed to float indefinitely, with a locator beacon to alert search crews of its presence. Upon immersion of the aircraft in water, an ejection device automatically ejects the beacon out of the aircraft. The ejection device includes a piston system that generates an opening in the aircraft and expels the beacon accordingly. The most appropriate installation area is the rear upper part of the aircraft, just after the bulging wall (strong wall) delimiting the end of the pressurized area, as shown on figure above showing the tail 46 of the aircraft AC, provided with the stabilizer 47 and the horizontal tails 48. This rear extreme area is generally the least damaged after a crash and offers, in nearly all the aircraft, a free space being sufficient for the installation of the device according to the invention. Moreover, the access to this area is easy, for the installation of the device and for possible maintenance operations. In this area is also housed the digital flight data recorder, of the DFDR type, being the flight recorder recording the flight parameters, the other flight recorder being, most often, located before the bulging wall in the pressurized cargo area. Furthermore, this area has the particularity, on the aircraft with a mobile horizontal plane, to become filled quickly in the case of an immersion, because of the opening present in the rear fuselage for the mobility of the rear plane, allowing the immersion condition to be detected or confirmed. 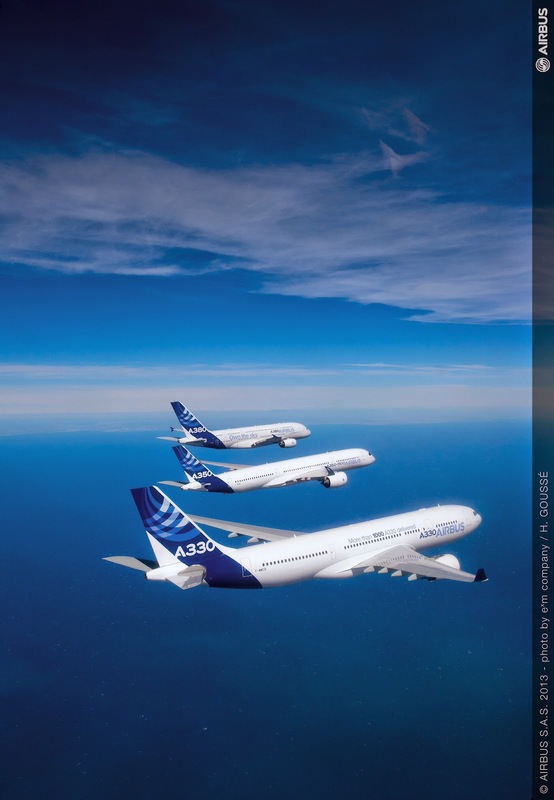 Based on the article “Deployable beacons for A350/A380s” published in FlightGlobal. 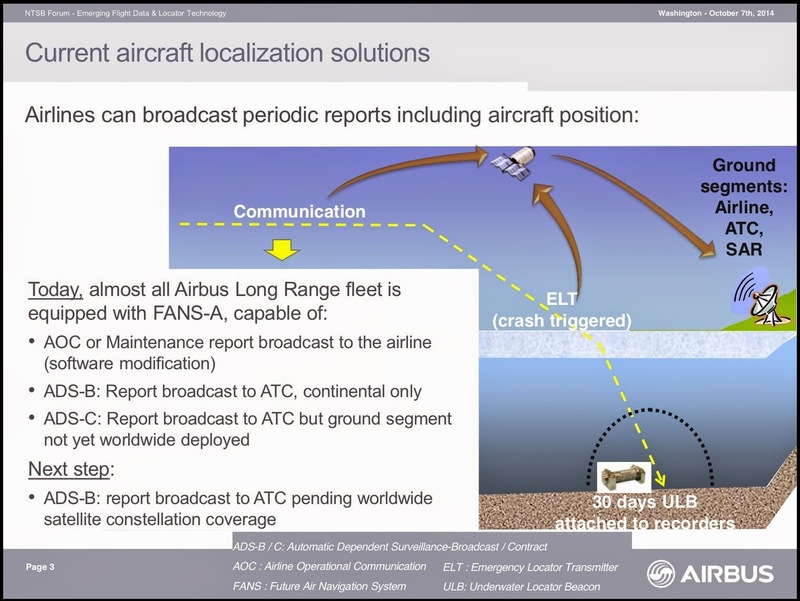 Airbus is to install a deployable data and voice recorder with locator beacon on future A350s after completing additional studies. 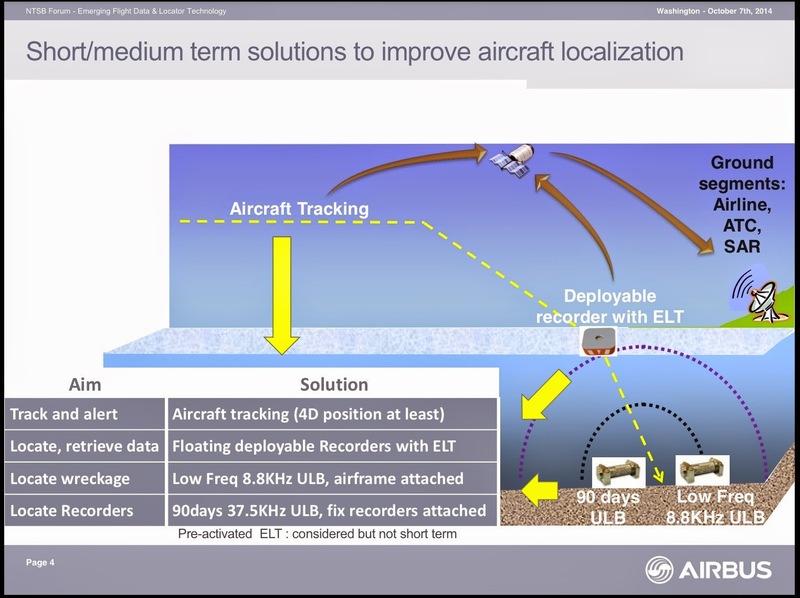 Speaking on 7/Oct at the US National Transportation Sfety Board forum on emerging flight data and locator technology, Airbus head of security operations Pascal Andrei said that Airbus has been working with sippliers on deployable recorders and technology will be available “very quickly”. “I don´t have any roadmap to give you”, Andrei told the forum. “But we have found the location on the aircraft to integrate such deployable recorders. This is something which will come very soon after some more studies”. 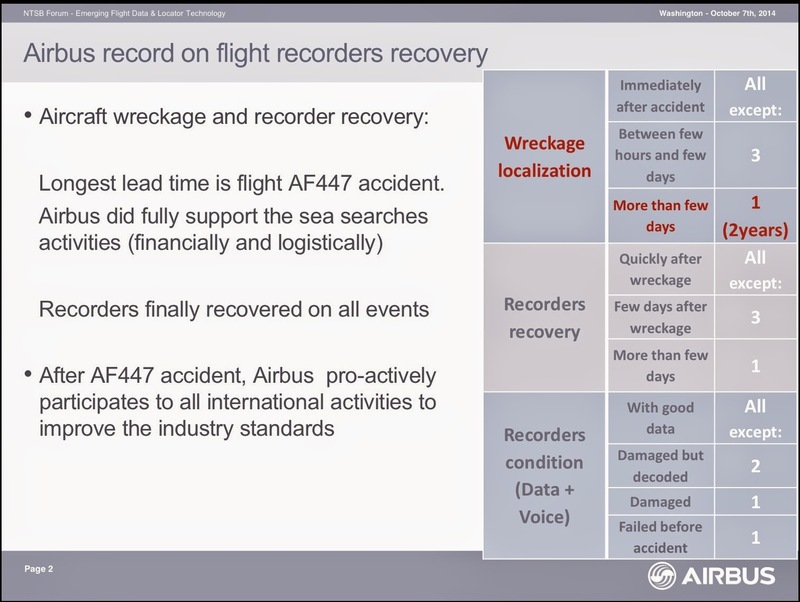 Voluntarily adding a deployable recorder would represent Airbus´ most visible response to the high-profile disappearances of Air France flight 447 in 2009 and Malaysia Airlines flight 370 last March. The wreckage of flight 447 was eventually discovered two years later, but the location of MH370 remains unknown. 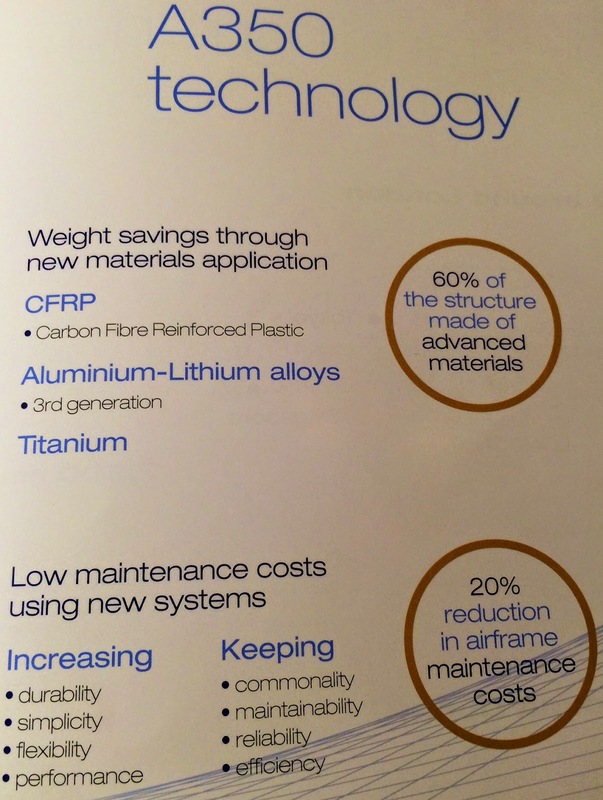 Kaman Aerosystems joins A350 program manufacturing engine fairings. 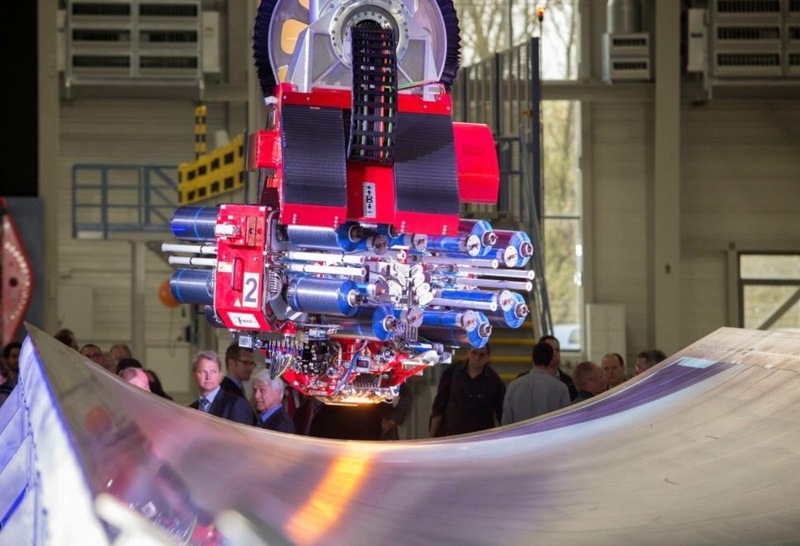 Kaman Aerosystems has been awarded a long term supply-agreement by Rolls-Royce to manufacture the composite A-frame fairings for the Trent XWB engine that will power the Airbus A350 XWB aircraft. 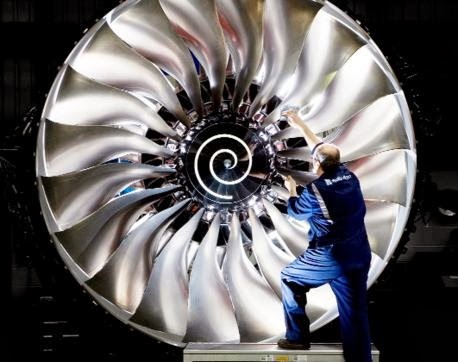 Rolls-Royce and Kaman have entered into a multi-year contract for these parts, with a projected value in excess of USD5 million. The fairings will be manufactured at Kaman´s facility in Bennington, Vermont. Kaman is a leading supplier of integrated aerostructures, including metallic and composite structural assemblies and metallic parts for OEM. It was awarded by Boeing as Supplier of the Year for 2012 and Silver Supplier for 2013. The A350 ten years ago. 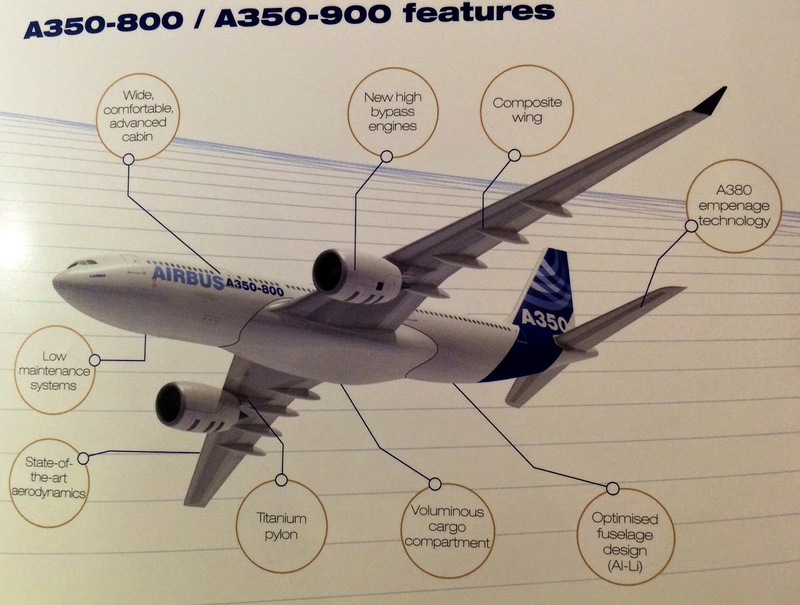 How was the first A350 planned 10 years ago?. Let´s have a look on this brochure to watch the schedule, range, capacity … and the engine. 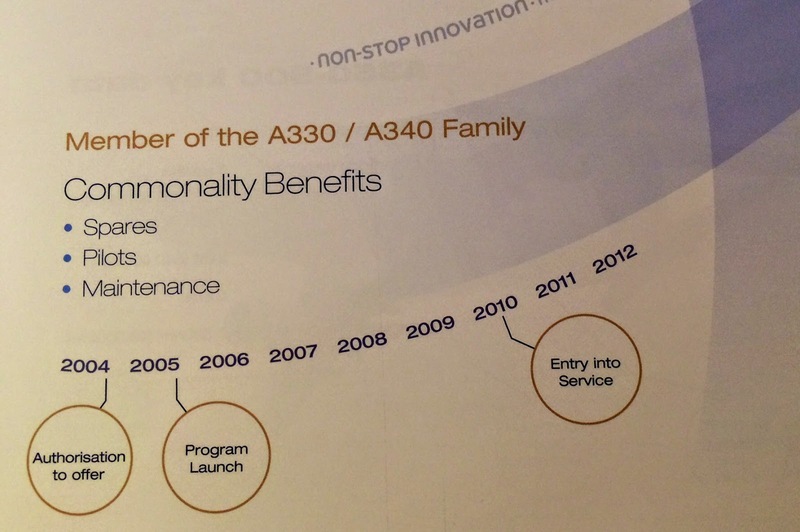 Ten years later, the A350 XWB that is certified is “smoothly” different. 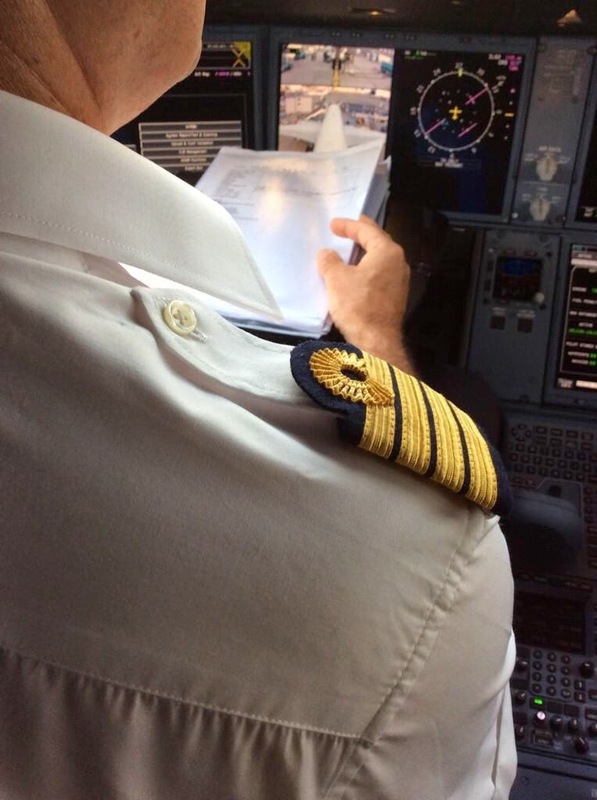 A330 pilots will get the qualification for A350 with 8-days training. Enabling a significant reduction of costs for airlines, the differences training does not necessitate the use of a ground-based full-flight-simulator, and allows a 65% reduction in pilot training time – to only 8 days – versus a standard transition course. 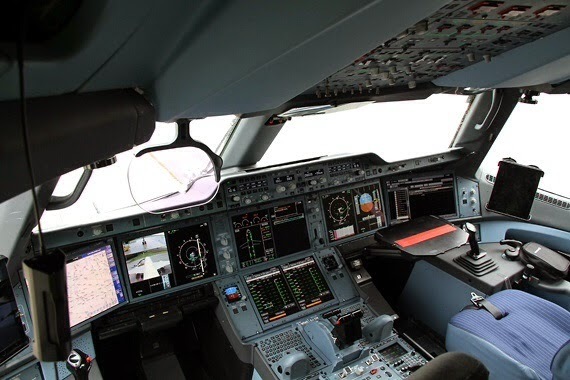 Additionally, it facilitates the creation of a pool of pilots who can fly both the A330 and A350 XWB in a single-fleet flying (SFF) concept for increased scheduling flexibility and mobility. 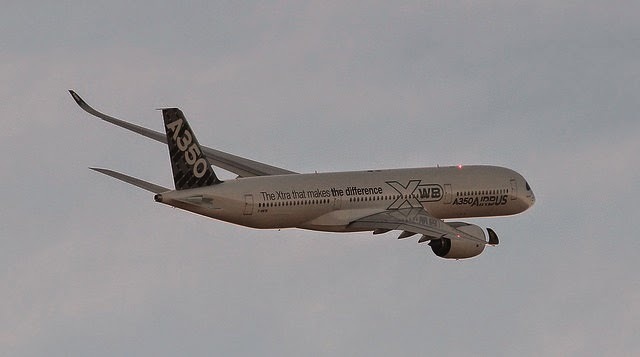 A notable factor in achieving the A350 XWB/A330 Common Type Rating is the similarity in handling qualities between the 2 fly-by-wire jetliners, as recently verified by pilots representing the European and U.S. civil aviation authorities who flew both aircraft. A350 Head of Program Didier Evrard, finalist of Aviation Week Awards “for rigorous execution of the certification program”. Finalists of the 58th Annual Laureate Awards, honoring extraordinary achievements in the global aerospace arena, have been announced. The awards will be presented on 5/March/2015 at the National Building Museum in Washington DC, by Aviation Week. "Since their debut in the 1950s, Aviation Week's Laureate Awards have shined a spotlight on the industry's greatest innovators and achievers," said Aviation Week & Space Technology Editor-in-Chief Joseph C. Anselmo. "We recognize both the finalists and the winners for their vision and for inspiring others to strive for progress." 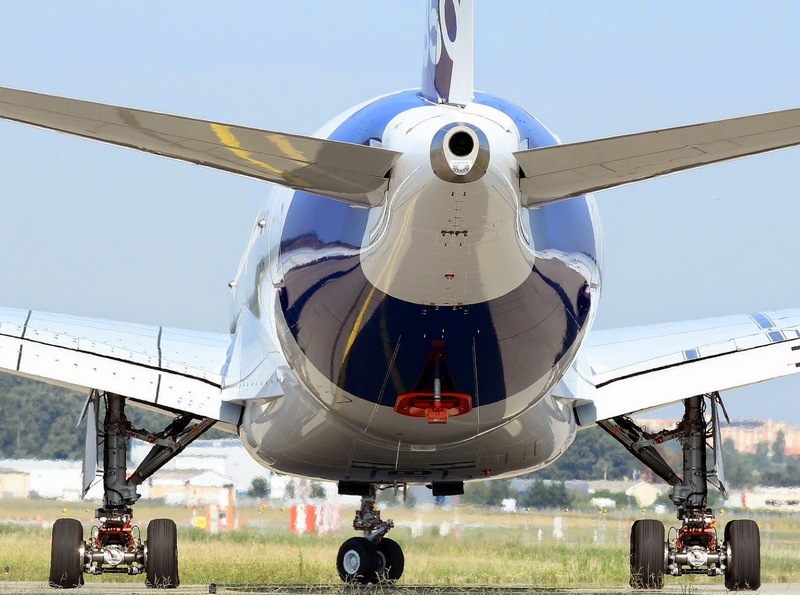 · Boeing 787-9 program, for the first application of drag-reducing hybrid laminar flow control in a production commercial airliner. · Mitre Corp., for the Houston metroplex airspace redesign, in collaboration with the FAA, NATCA and other stakeholders. · Southwest Airlines Chairman, President and CEO Gary Kelly, for AirTran integration and moves to grow business traffic and international expansion. 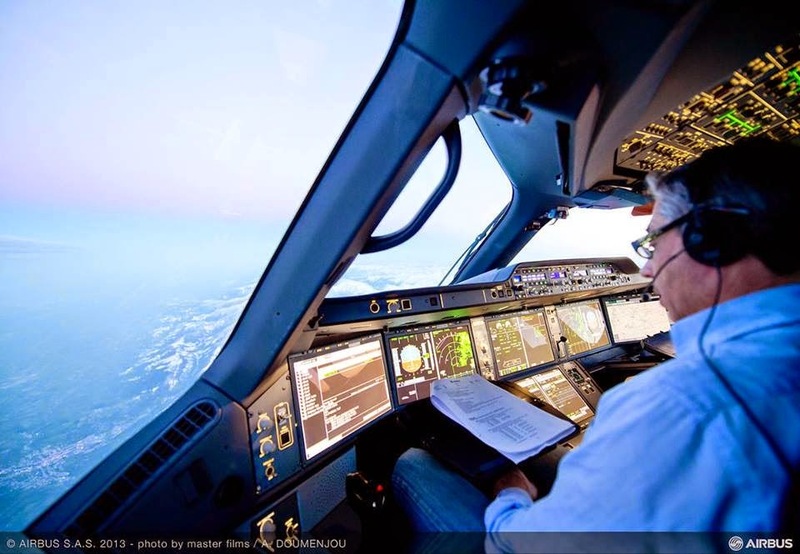 · Airbus A350 program head Didier Evrard, for rigorous execution of the certification program for the new widebody airliner. 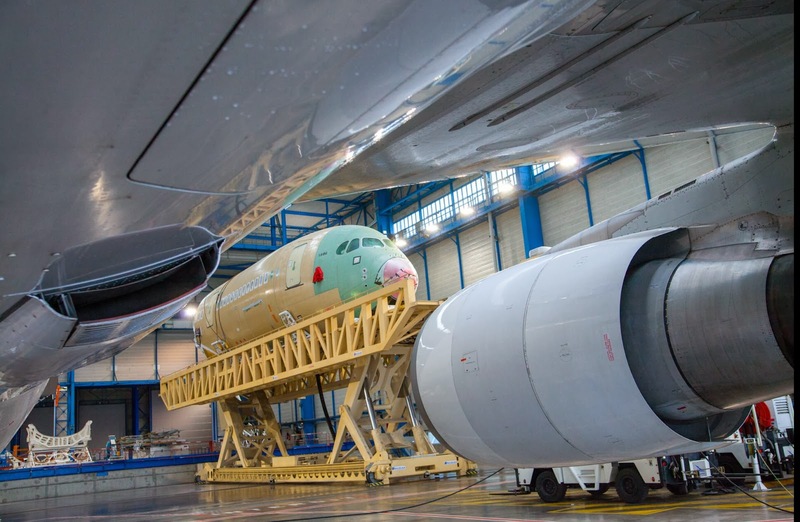 1st fuselage shells for A350-1000 manufacturing started in Germany. 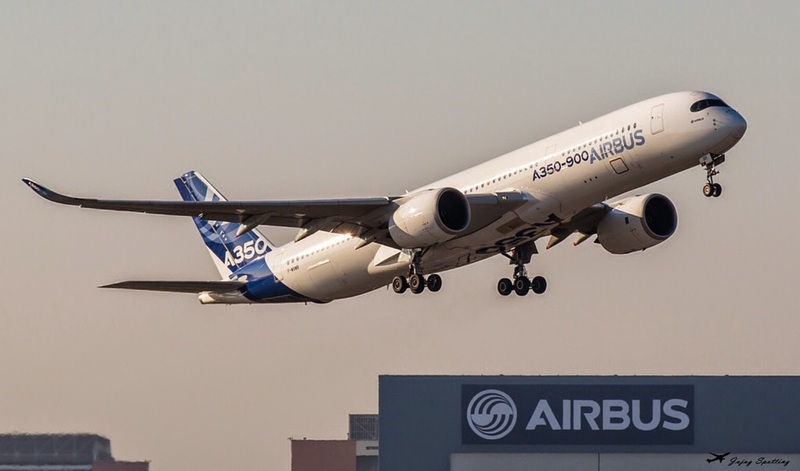 Initial carbonfibre wing covers for the first Airbus A350-1000 have been completed, as structural work on the largest member of the family progresses. Upper and lower wing covers have respectively been readied at the plants in Stade and Illescas. 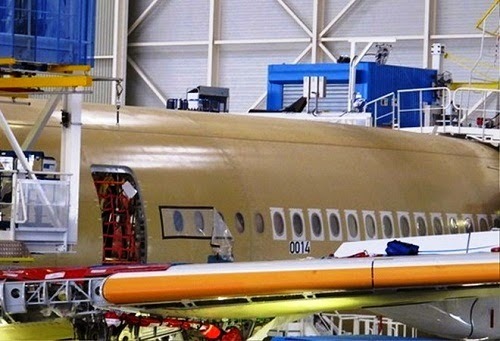 Concerning the fuselage shells, the Nordenham facility of Premium Aerotec has started the automatic fiber placement process for the first section 13/14 of the new A350-1000. 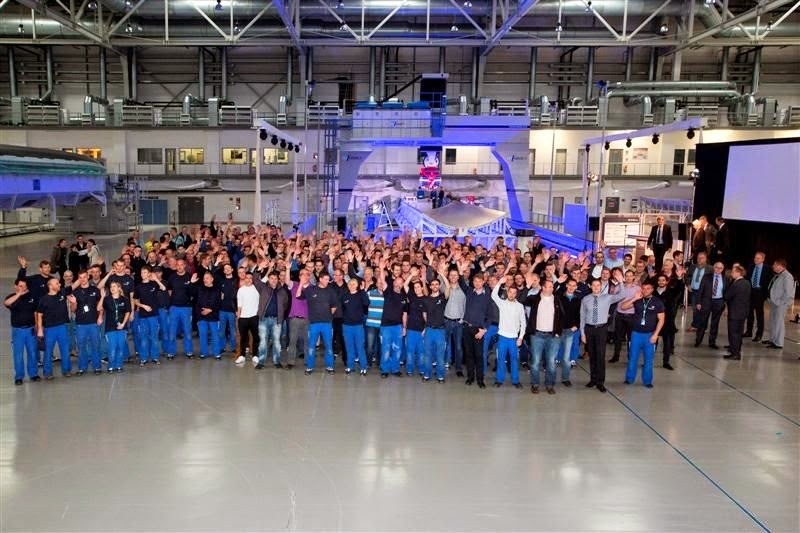 With an event attended by more than 200 employees, Premium Aerotec has officially started the manufacturing of the first fuselage shell for the A350-1000. 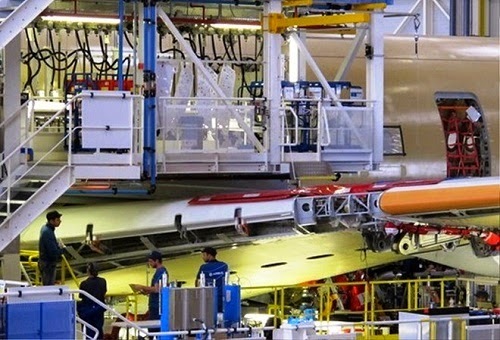 The manufacturing operations (AFP and curing in the autoclave) as well as the further assembly tasks are performed in 3 sites in Nordenham, specially constructed for the A350 XWB. Based on the article “First A350-1000 structures emerge” published in FlightGlobal and based on the article “Premium AEROTEC beginnt Rumpf-Produktion für A350-1000” published in FlugRevue. Some key of the A350 Development phase success: Lessons Learnt, Leaders, Plateau and Stop & Fix. Mission accomplished for Fabrice Brégier. 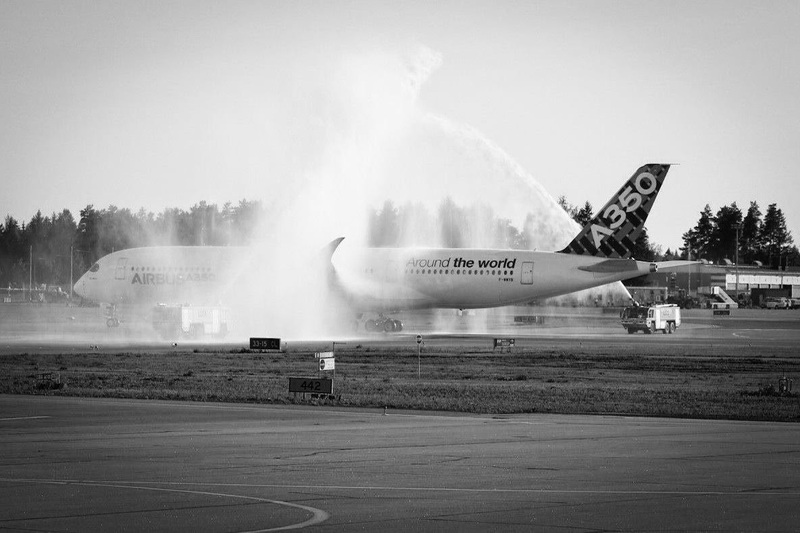 After a race against the watch of 7 years, 15 months of flight tests, and one last epic campaign of 151.300 km in 20 days (route proving campaign), Airbus received on 30/September the type certification of the A350-900 by the European Agency for Air Safety (AESA), according to the planned schedule. And it is on track for the first delivery to Qatar Airways before the end of the year. 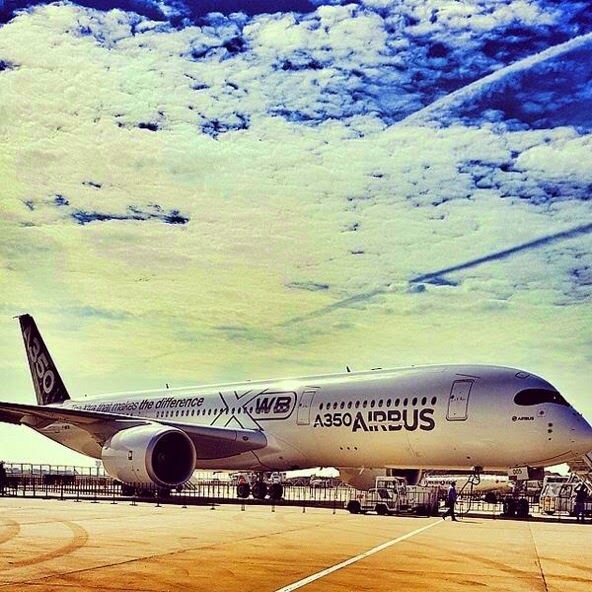 The success of the development of the A350 has a name: Fabrice Brégier, President and Airbus CEO. 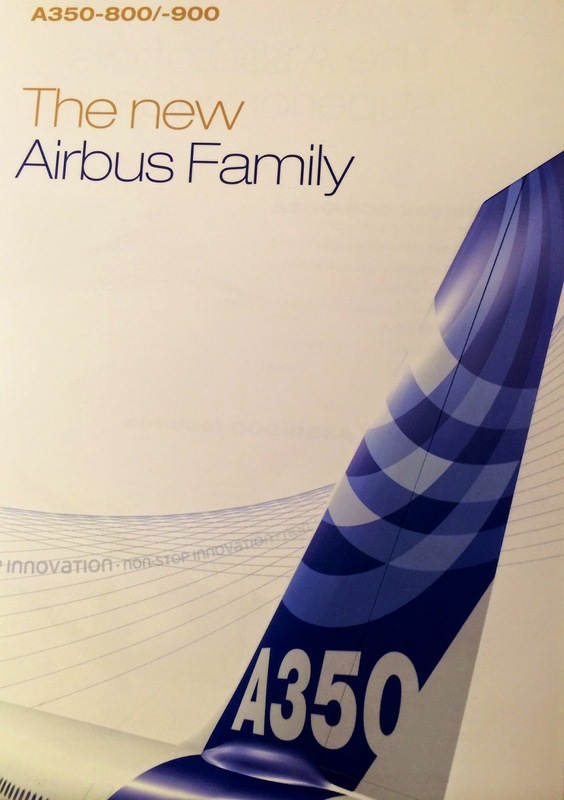 Number 2 of Airbus from 2006 to 2012, it was directly in charge of the program. 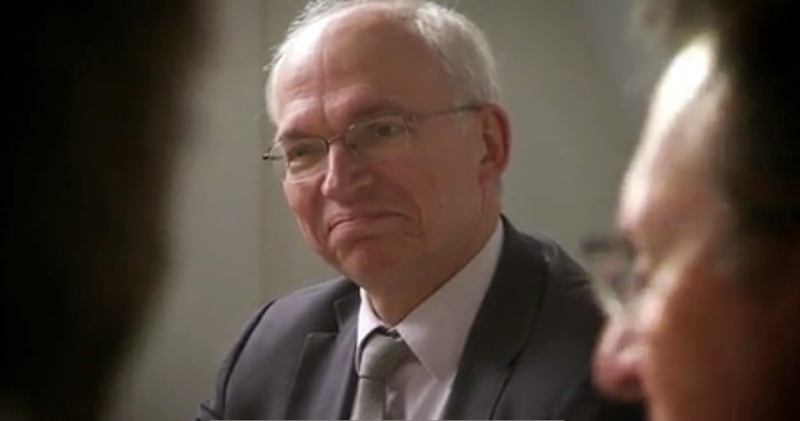 Named Airbus CEO in June/2012, it has kept his right hand -the Head of Program Didier Evrard- directly reporting him. 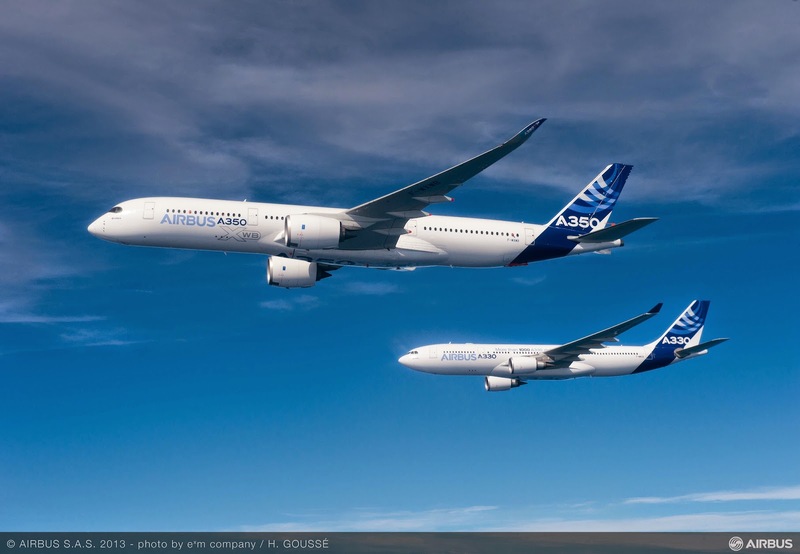 "Fabrice Brégier has managed to make the A350 the first program developed by an integrated Airbus, without bickering between the 4 founding countries", says François Chopard, consultor in Impulse Partners. 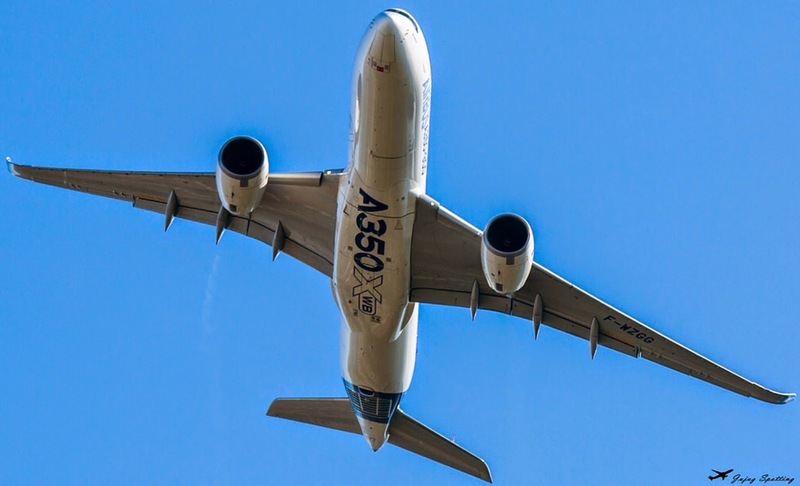 "Instead of a German Airbus and a French Airbus working on 3 different systems like in the A380, the A350 has been developed by a unified team", supports Scott Hamilton from Leeham. From the beginning, Fabrice Brégier insisted in 2007 to Louis Gallois to join Didier Evrard who make a successful duo at the missile manufacturer MBDA with the Scalp - Storm Shadow missile program. 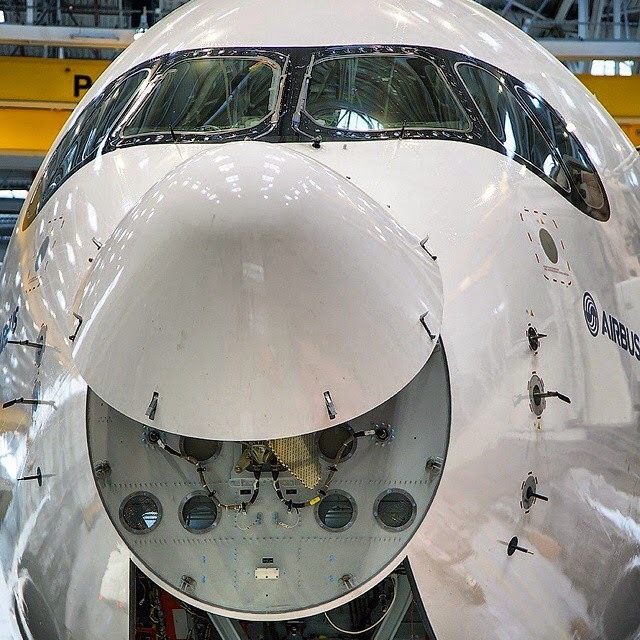 With the Lessons Learnt from the A380, Brégier creates a common “plateau” of 1.000 engineers -from Airbus and its subcontractors- in Toulouse, harmonizing processes and tools (computer and technical production tools) in what it was called Extended Enterprise concept. In the production floor-shops the criteria was clear: "stop and fix": any problem on a component or segment must be fixed before sending it on the assembly line. 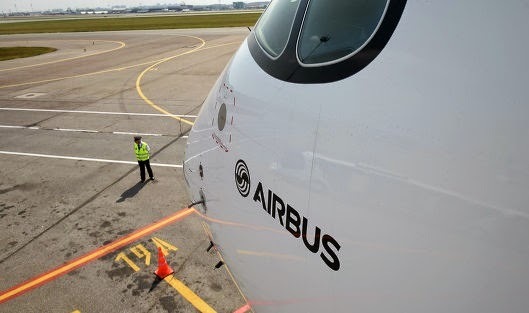 "Airbus has preferred slow the advance of the manufacture to ensure the maturity of the aircraft before its first flight," said Addison Schonland, analyst at AirInsight. At the top of the pyramid, Brégier has managed the Program with an iron hand. "It is incredible demanding for managers, while not hesitating to go exploring the base", says François Chopard. "There are 2 things that make me explode: the guesswork out and that we hide the problems", Brégier explained to Challenges mid 2013. Qatar will debut A350 flights with Doha-Frankfurt route. 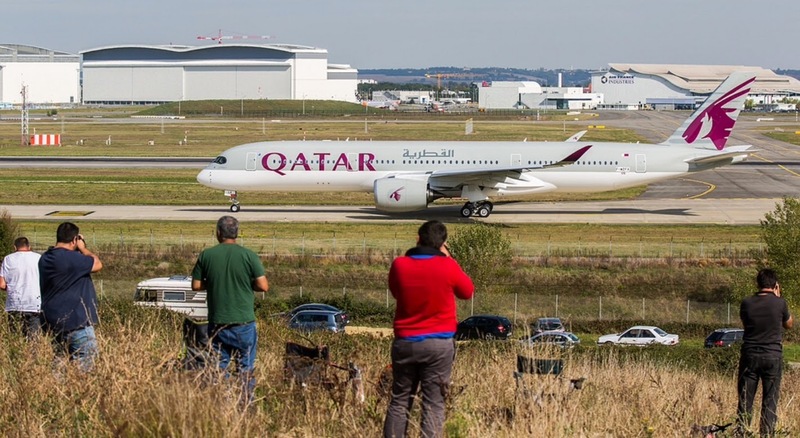 Qatar Airways has announced that Frankfurt will be the first route for its A350 XWB aircraft, beginning in January next year with daily non-stop flights from Doha. Qatar Airways had previously pointed to New York as a potential candidate for the inaugural route but subsequently backed away from a clear indication. 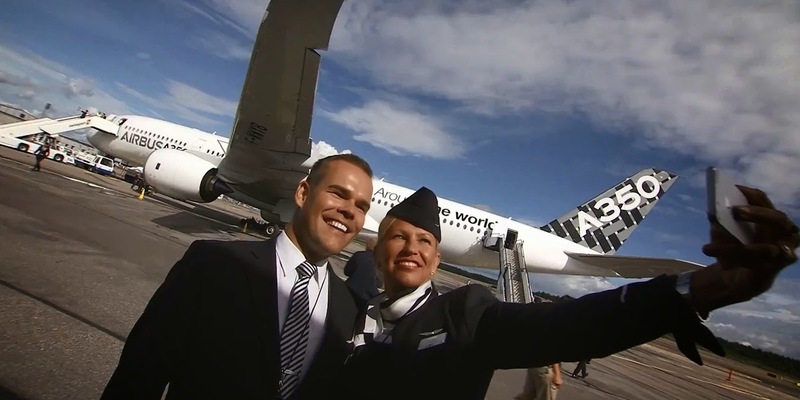 The aircraft will be configured with 283 seats in two classes, including 36 in business. The Frankfurt link will be opened following "several weeks of induction preparation" after the aircraft is delivered in December/2014. 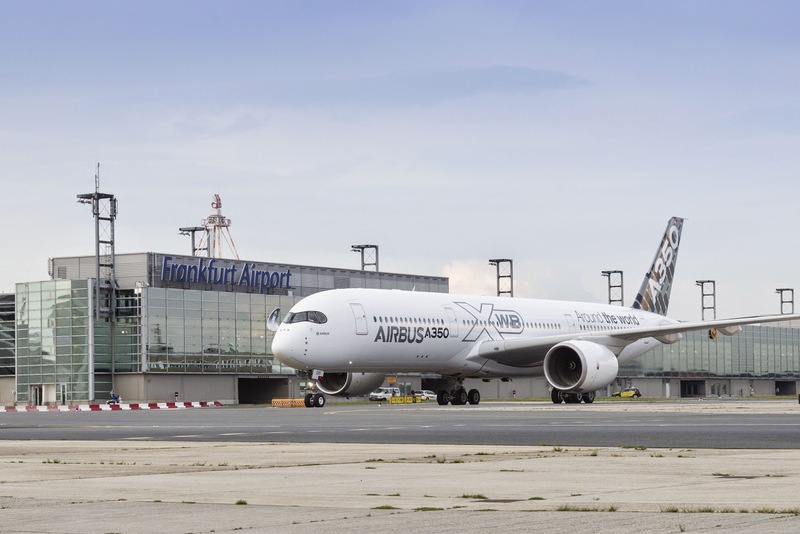 Frankfurt has been selected as the first destination in light of the "significant capacity the aircraft provides for the comfort of its business and leisure travellers". Qatar Airways operates twice-daily on the route, as QR67 and QR69, and intends to switch both links to A350s from current A330s, 787s and 777s. Based on the article "Qatar unveils first A350 destination" published in FlightGlobal. Vietnam Airlines expects to receive the first A350 in June/2015. Vietnam Airlines is the 2nd company in the world to operate the A350-900 -just behind Qatar Airways- and as the General Director for Europe Le Dung explained, they will receive the first aircraft in June/2015. It will initially serve intra-Asian routes while the crews training is completed. 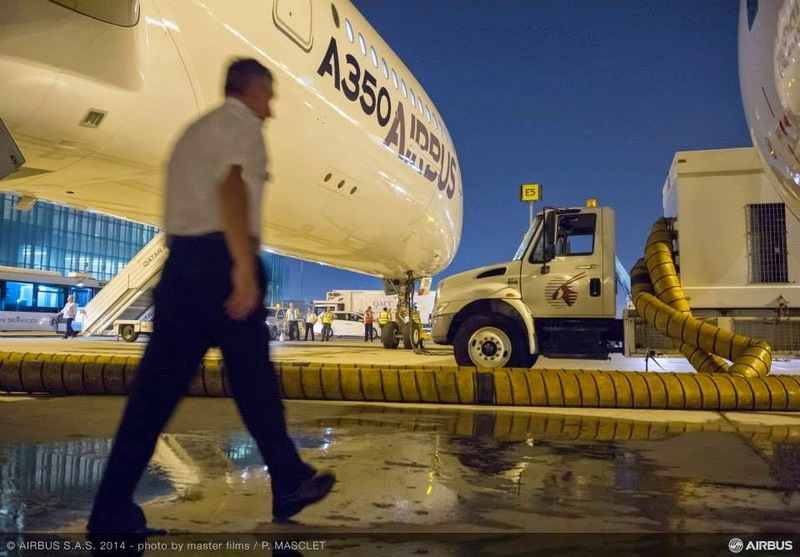 With the launch of the winter-season next year in October/2015, the A350 will be put into operation with direct routes from Hanoi/Ho Chi Minh City to Paris and some other European capitals. 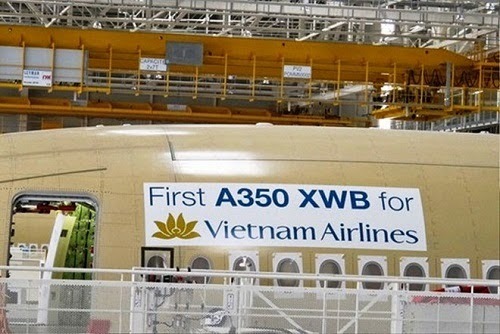 Based on the article “Vietnam Airlines sera la 1ère compagnie à desservir Paris en Airbus A350” published in Le Journal de l'Aviation. 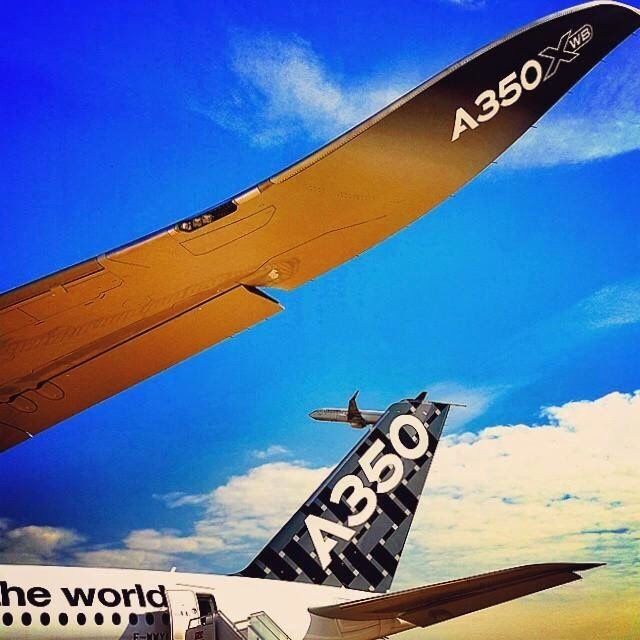 A350 pictures in the web. 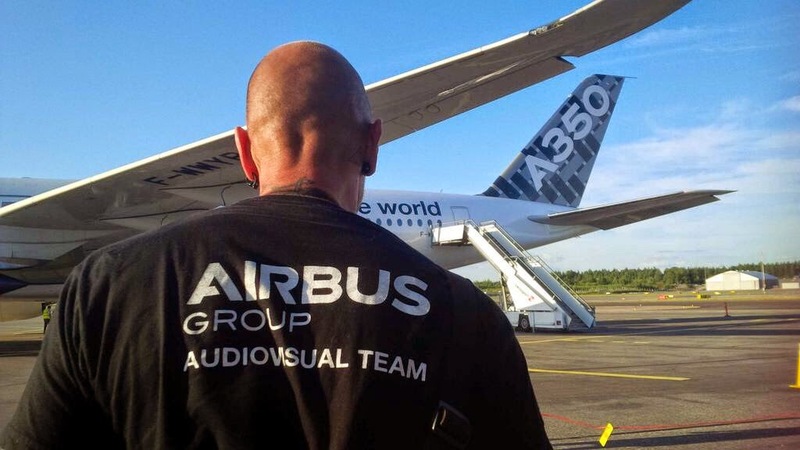 Many spotters enjoy the A350 test flights all around the world -when route proving campaign was done last August- but those in Toulouse make an incredible job during all these months back. If you want to enjoy best A350 photos in flickr, press here. 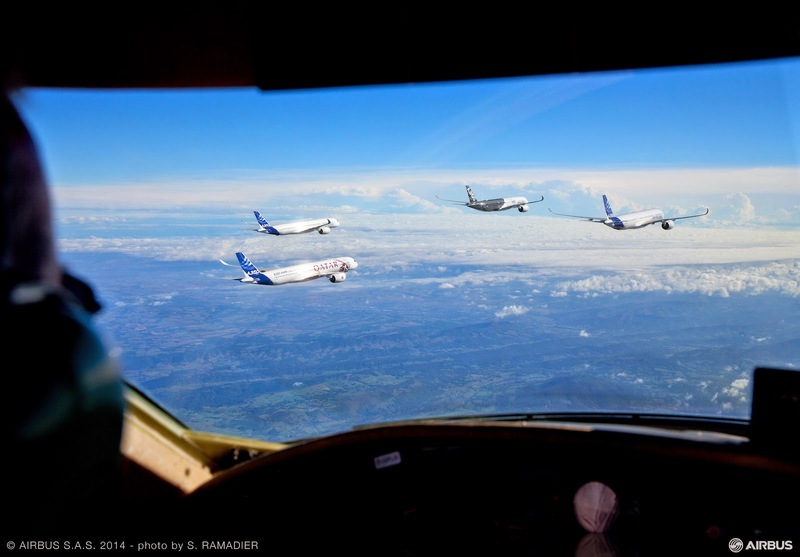 I would also like to emphasize the great photograpers working in Airbus. 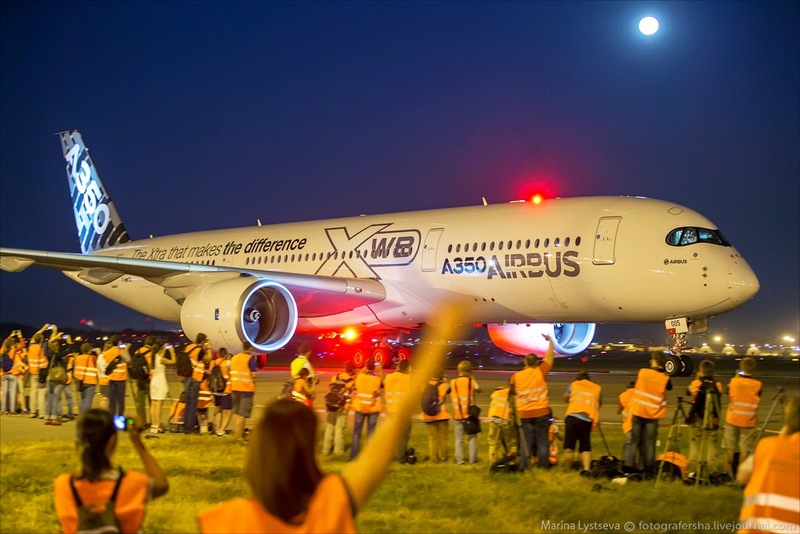 Lucky people with amazing pictures available at Airbus web. Keep on going with your passion.